The gift giving season is upon us. As a technology expert, I’m often asked for recommendations and gift ideas. As is usually the case, there’s no shortage of new techno gadgets and gizmos on the market this year. However, I also like to recommend gifts that have a practical purpose, in addition to being fun to use. Literacy rates in New York are frightening. Statewide more than 20% lack basic literacy skills. While in Westchester County the statistic is slightly better at 13%, there’s still much to be done. Giving children a great tool to help them learn to read at as early an age as possible, while also giving them a toy they’ll love to play with, seems a perfect fit. 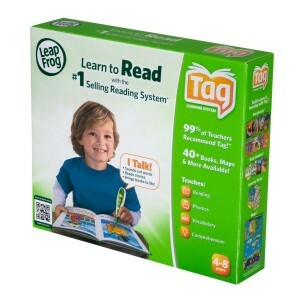 This year, for children ages one through eight, I recommend Tag and Tag Jr. Reading System Products from Leapfrog.This product is nothing short of amazing; it teaches everything from the very basics of letter identification, phonics, and sounding out words, to reading their very first full book! So this year, consider giving the gift of literacy to a child you know. This also would make a great gift to donate to the many wonderful toy drives such as Toys for Tots. Here is a link so you can find the nearest Toys for Tots drop-off center.